The Quebec government has announced which Anglophone community groups will be on the receiving end of $6.9 million set aside for them in the last provincial budget. Kathleen Weil, the minister responsible for relations with English-speaking Quebecers, said on Tuesday the province wants to invest in keeping young, highly educated anglophones in the province. MONTREAL – Many people who subscribe to the Vidéotron cable service have noticed how good its French-language MAtv community cable channel is, with its local focus on community and public affairs, including local arts. 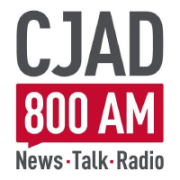 Montreal hasn’t had a comparable English-language community channel since 1999, when the old CFCF cable channel was closed down by Vidéotron two years after it had bought CFCF. Now it looks like English-language community TV is on the verge of a comeback. On Sept. 5, Vidéotron applied to the Canadian Radio-television and Telecommunications Commission for a licence to operate an English-language community channel in the greater Montreal area. MONTRÉAL, le 18 juin 2013 – Le English Language Arts Network (ELAN), en collaboration avec le Quebec Community Groups Network (QCGN), travaille à la création d’une alliance pour intervenir dans le cadre des audiences publiques qui auront lieu prochainement au sujet du renouvellement de la licence de Vidéotron à Montréal. Ladite licence affecte les quelque 600 000 Québécois de langue anglaise qui résident dans la région du Grand Montréal. Hier soir, ELAN a tenu une rencontre publique afin d’entamer la création d’une alliance réunissant des groupes communautaires, des éducateurs, des artistes et des producteurs télévisuels pour demander que le CRTC fasse de l’ajout d’une chaîne de télévision communautaire en langue anglaise un préalable au renouvellement de licence de Vidéotron. MONTREAL, June 18, 2013 – The English Language Arts Network (ELAN), with support from the Quebec Community Groups Network (QCGN), is building an alliance to intervene at the impending CRTC public hearings concerning Vidéotron’s Montreal licence renewal . The licence affects the 600,000 English-speaking Quebecers living in the Greater Montreal region. Last night ELAN held a public meeting to begin creating an alliance of community groups, educators, artists and TV producers to request that CRTC make an English-language community TV channel a requirement for Vidéotron’s licence renewal. “The CRTC, which will review Videotron’s licence conditions this summer, will scrutinize the cable company’s responsibility toward its English-speaking audience,” said ELAN President Peter MacGibbon. Quebec’s English-speaking community was absent the last time Vidéotron’s licence was renewed seven years ago and the result has been a complete absence of community TV production in English, he said. Montréal, le 29 mai 2013 – Le Quebec Community Groups Network (QCGN) et le English-Language Arts Network (ELAN) se réjouissent de la décision du CRTC concernant le renouvellement des licences de CBC/Radio-Canada, où s’ajoutent plusieurs nouvelles conditions dont profiteront le Québec en tant que région, et la communauté d’expression anglaise du Québec comme collectivité de langue officielle minoritaire. En vertu des nouvelles conditions de licence, CBC Montreal devra produire au moins 14 heures de programmation locale, et ce, à compter du 1er septembre 2013, explique Guy Rodgers, directeur général de ELAN. Sur ces heures, au moins l’une d’elles doit être consacrée à une émission autre que des nouvelles, restituant le contenu local qui n’existe plus depuis 2009. Dix pour cent de son budget de développement de la télévision de langue anglaise doit être maintenant alloué aux producteurs indépendants du Québec. Ces conditions obligent également la CBC à consulter les communautés de langue officielle minoritaires, une démarche que le diffuseur public a déjà entamée au Québec. The Quebec Community Groups Network (QCGN) and the English-Language Arts Network (ELAN) are pleased with the CRTC’s decision regarding the licence renewal of CBC that added some new conditions that will benefit Quebec as a region and Quebec’s English-speaking community as an official language minority. 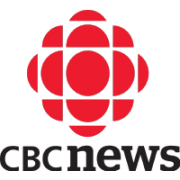 Under the new licence conditions, CBC Montreal must produce at least 14 hours of local programming, starting September 1, 2013, explains Guy Rodgers, Executive Director of ELAN. At least one of these hours must be non-news programming, restoring local content that has not existed since 2009. Ten per cent of its English television development budget must now be allocated to independent producers in Quebec. Conditions also force CBC to consult with Official Language Minority Communities, something the public broadcaster has already begun in Quebec. Le Quebec Community Groups Network a collaboré avec l’émission de radio Vues et Voix, anciennement connue sous le nom de la Magnétothèque, sur une série d’entrevues visant à faire connaître la communauté d’expression anglaie. L’objectif de cette série spéciale est de parler des préoccupations, des réussites et des défis de notre communauté. Écoutez ci-dessous le dixième segment avec Guy Rodgers, directeur exécutif du English Language Arts Network (ELAN). The Quebec Community Groups Network is working with Vues & Voix, formerly la Magnétothèque, on a series of reports on Quebec’s English-speaking community. The idea behind the weekly conversations with our community is to talk about our preoccupations, our successes, and our challenges. Listen to the tenth segment below with artist Guy Rodgers, the executive director of the English Language Arts Network.